This cocktail recipe has been a long time coming. I might know food but when it comes to drinks I need a little helping hand. Luckily my friend Josh is a cocktail enthusiast and knows his way around a spirit or two. 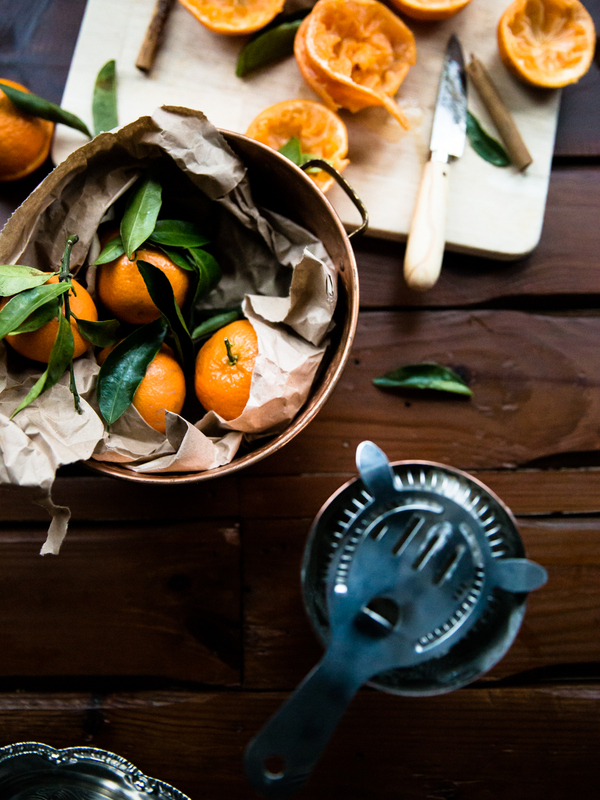 Clementines were an obvious choice for bringing seasonality into the mix but I had no idea where to get started! Josh had suggested whiskey from the offset. 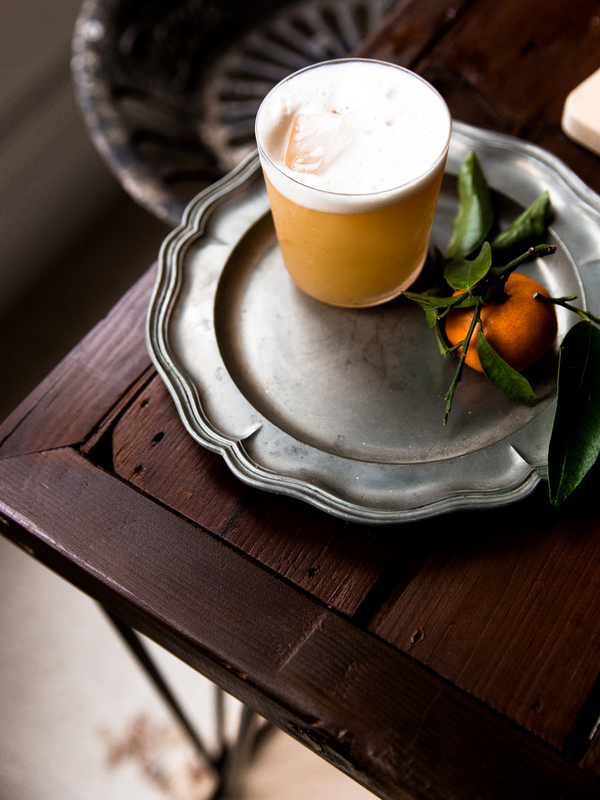 We’ve gone for a twist on a classic, a whiskey sour (traditionally made up with lemons). His cocktails are some of the best I’ve ever had, so we’re in good hands! If you don’t like whiskey, bear with me. I’d usually be one for screwing my face at the thought of whiskey in any drink too. There’s something about the mixology of cocktails that really challenges your taste for spirits you’d otherwise written off. Gin is easy, I love gin. Hand me anything with gin in the mix and I’m positively beaming. Whiskey isn’t something I’d go for, so to say that I’m satisfied with a whiskey based drink feels like more than enough validation to be putting this out there. 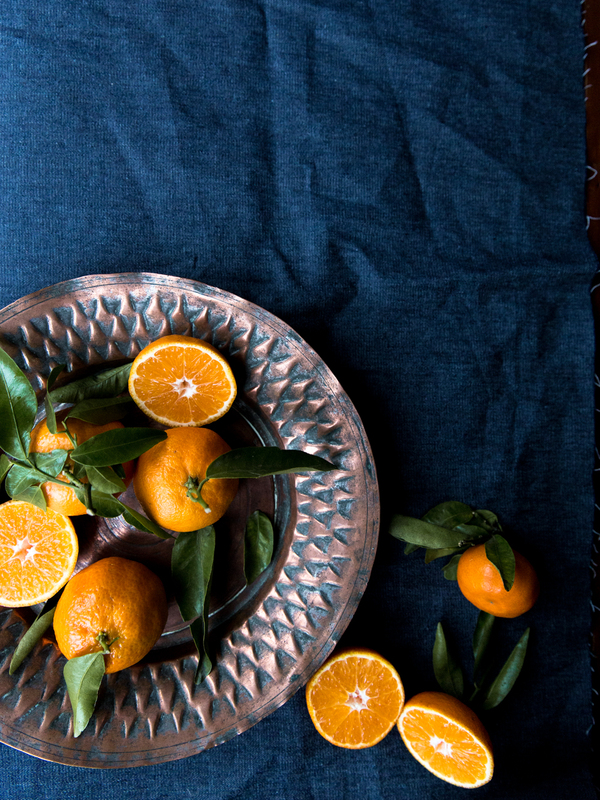 The taste of clementines are there but it’s the sweet aftertaste of cinnamon that I really love. 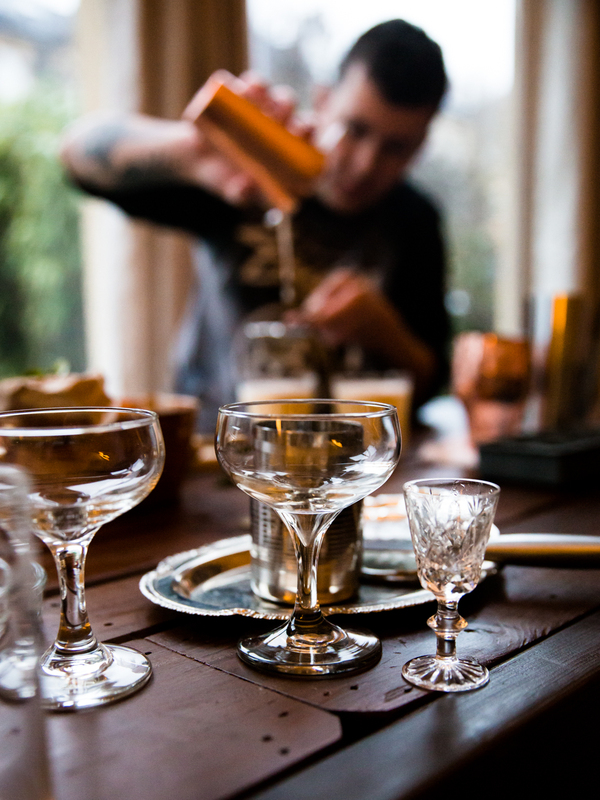 How did you get into the craft of making seriously good cocktails? It’s hard to imagine, but up until a couple of years ago I had never actually tried a cocktail. Away on business, alone, thirsty and in a foreign city, I stumbled across a back alley bar and decided to have a quick drink before heading back to the hotel.Taking a seat at the bar I noticed there were no menus, just a wall of assorted bottles and brews – I could only imagine what they contained. The bartender approached and asked what I felt like drinking, feeling pretty adventurous – and needing to satisfy my sweet tooth – I asked for something smooth and sweet. After some rather impressive mixology I was presented with an ornate glass full of a yellow, creamy looking liquid. I took a small and hesitant sip, it was probably the most delicious thing I had ever tasted. I followed it up with five more, stumbled home, and have been pursuing making great cocktails ever since. 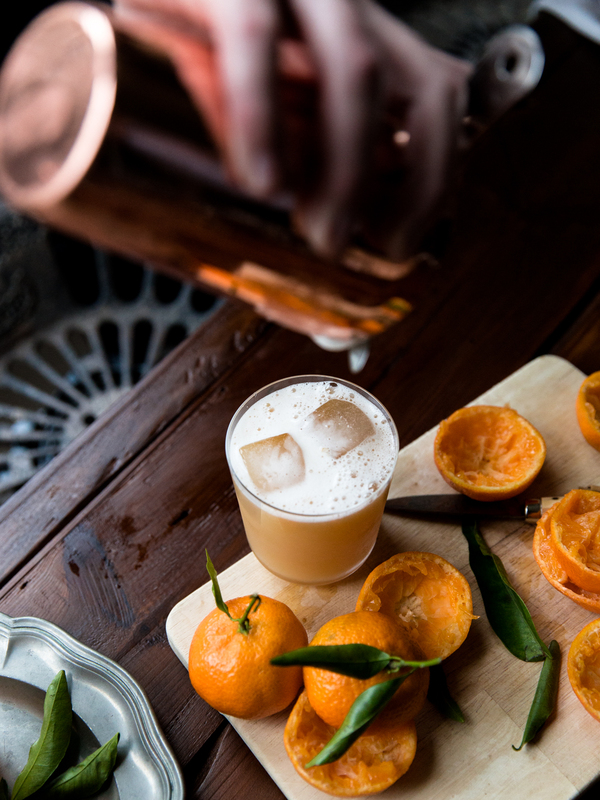 What tools/resources would you recommend for anyone serious about making seriously good cocktails? 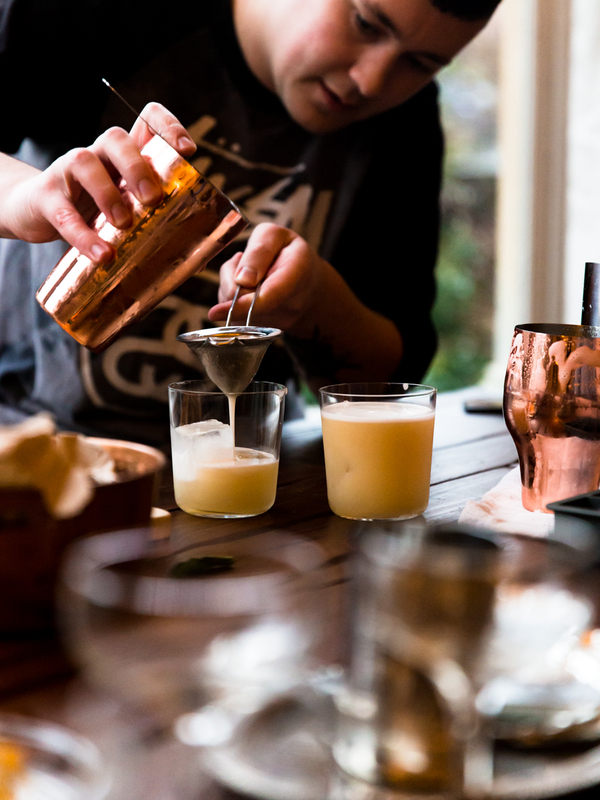 Tool-wise you can actually get away with fairly little – until recently I relied on making all my stirred drinks using a pint glass! 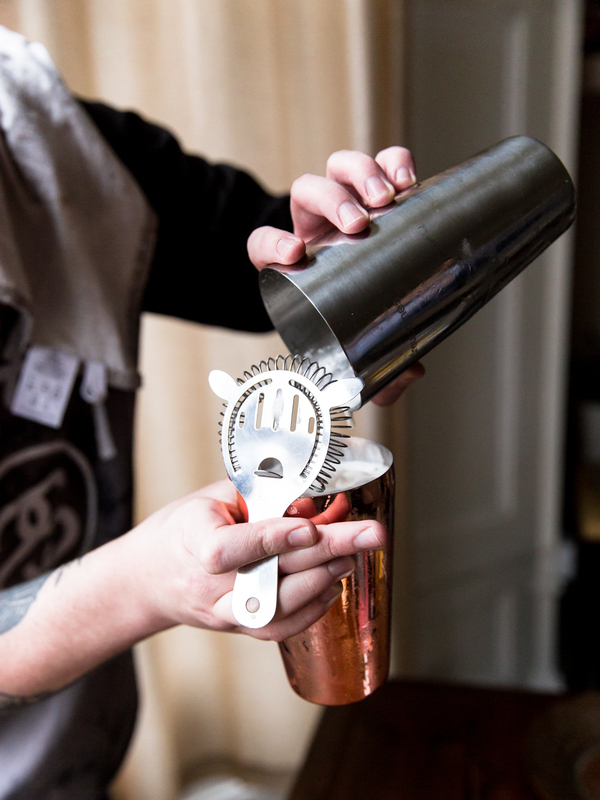 I’d focus on keeping things simple to start with, my collection of bar tools started with a fairly basic cocktail starter kit consisting of: a Boston shaker, jigger, strainer and stirring spoon. One resource that I keep going back to time and time again is the Death & Co cocktail book. Aside from being regarded as one of the best cocktail bars in the world, their namesake book covers cocktail related topics such as tools, techniques, ingredients; along with a whole plethora of recipes – both classics and their own creations. If you’re going to have anything on your shelf, make sure this is it! Where do you go to for new cocktail inspiration? As someone who is still very much in the process of learning about how to make seriously good cocktails, I find a lot of inspiration through reading and seeking out recipes that already exist. Whether that’s referring to my relatively small, but ever growing collection of books or deep-diving into the wealth of drinks-related tags on Instagram – there’s a seemingly never ending amount of recipes and ideas out there! More recently, and especially as I’ve been looking to create recipes of my own, I’ve been finding inspiration in the seasons; trips to the greengrocer, the colours of autumn or the smells of the winter air. Recently I’ve been focusing on recreating classic cocktails in a bid to further my knowledge and understand how to build a drink. After trying a Fitzgerald for the first time I was pleasantly surprised at how such a simple combination of ingredients could yield something so deep and rich in flavour! I’m not sure whether anyone else would agree that this is the most underrated cocktail of all time, but based on what I’ve tried to-date, the Fitzgerald definitely left me wondering why I had never heard of it before. Favourite cocktail bar you’ve ever been to? It’s really tricky to pin this down to a single bar, there are so many great cocktail bars and they’re all great in their own way; some serve food, some are small and underground, some are large and across several floors, and some are themed entirely on the film ‘Big Trouble in Little China’ (honestly, it exists!). 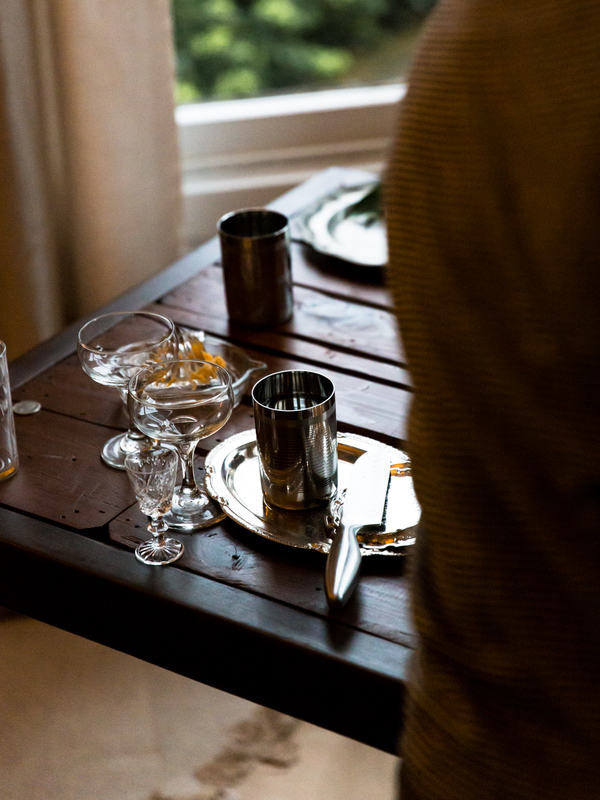 And lastly, one cocktail you couldn’t do without? It would have to be a Negroni. This may seem like a cliche choice for a cocktail enthusiast, but it really ticks all the boxes for me; strong, bitter and just a hint of sweetness. It’s a tricky drink to “get into”, however once you develop a palette for it, it really is a brilliant. I quite often enjoy them before food, after food and – on the rare occasion – with food! You can find Josh and keep up with all of his cocktail sharing here. And I seriously recommend you do! Place all ingredients into a cocktail shaker without ice and shake vigorously for at least 15 seconds. Add a handful of ice to the shaker, shake again for another 15 seconds or so.